Seen out to sea, drawn in the rain. 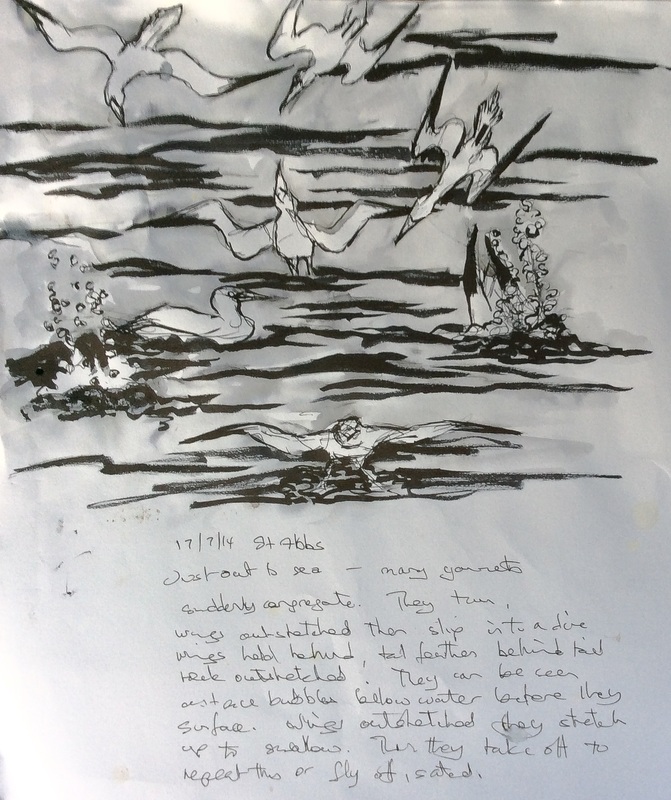 These feeding gannets were viewed out to sea and drawn with me standing, steadying the telescope against the wind. Just out to sea – many gannets suddenly congregate. They turn, wings outstretched then slip into a dive, wings held behind tail, neck outstretched. They can be seen as a trace of bubbles below water before they surface. Wings beating they stretch up their body and necks to swallow. Then they take off into the wind to repeat this or fly off, sated. This entry was posted in Media - Drawing, Sketches - Wildlife From Life and tagged art, arts, birds, drawing, gannets, seascape, wildlife art. Bookmark the permalink. You’ve really captured the movement of the birds in this. Very nicely done. It’s nice if you to say so. It always encourages me to post. To me, these are very scrappy drawings and I post because it’s what I’ve got. But I’ve learned to value others’ judgement also, including compliments. So much appreciated. 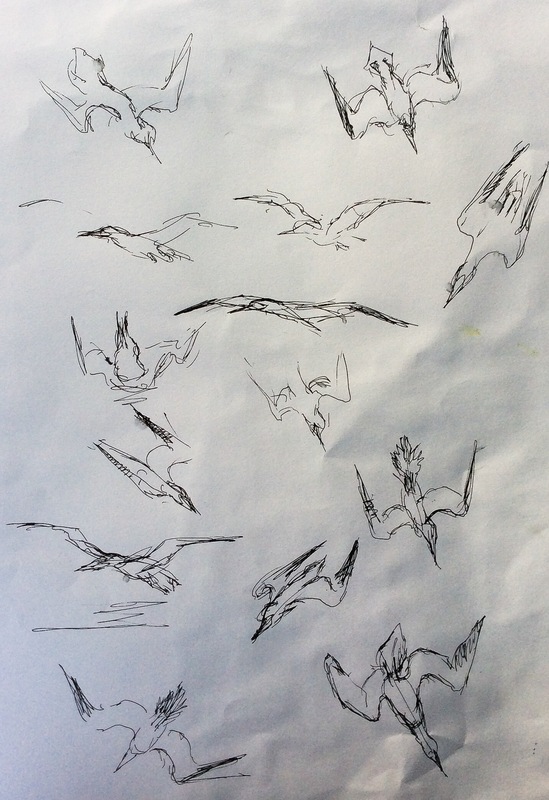 I love the looseness and movement of these, the freeness of the drawing echoes the movement of the birds. This is great! It has a feel of the wind and rain!